Whenever we’re looking to expand our team, we make sure to follow the “Hiring Funnel” model, taking several steps to ensure that we’re finding a great fit for our company. The funnel model works by narrowing down your objective (and your candidates) with each step until you filter out the best of the best. To lay the groundwork, we use a tool called Workable, which allows us to manage all our hiring candidates. 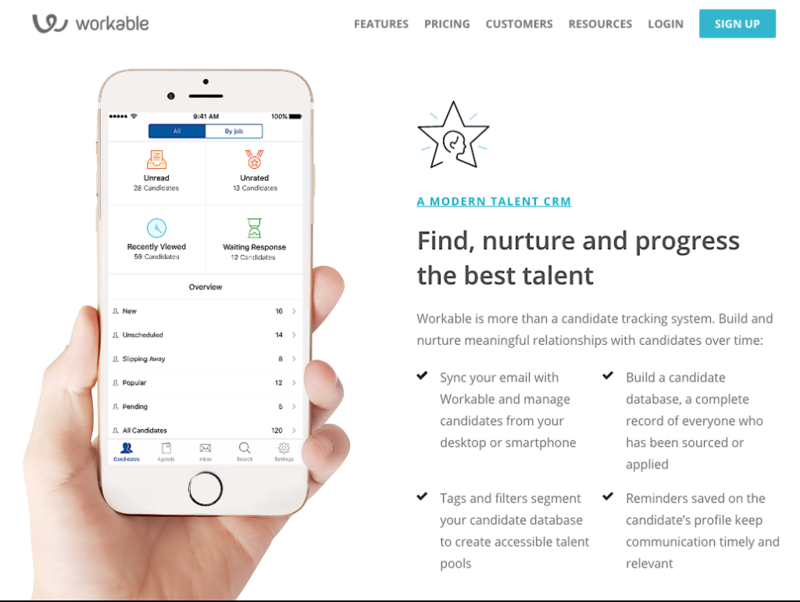 Workable will post to multiple job boards, like Indeed or LinkedIn. You can also have a widget that sits on your site, like we do in our job section. We also re-target people who visit our job section more than three times because at that point, we know those people are probably looking for a job. 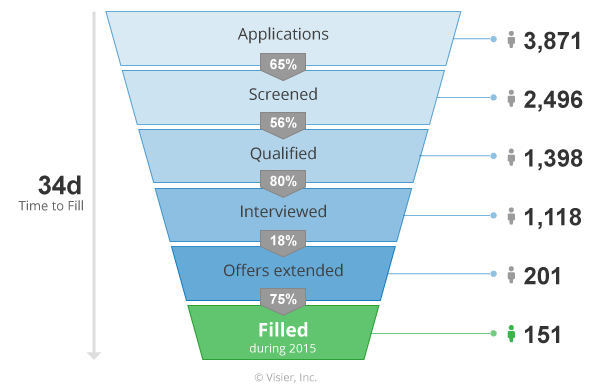 In the very beginning, you’re just looking to fill the top of your funnel with applicants. There are several ways to do this. You can blast out to the job boards. You can laser target people that fit a certain description. I’ve had one of my assistants do cold outreach to people through LinkedIn before. All these methods work to start filling the funnel. Keep in mind that many of these applicants will be unqualified because they don’t fit the job description. We’ll often put specific instructions in our job descriptions and if they can’t follow those directions, it shows right away that they won’t be a fit. The next step is qualifying those people who do fit the job description and moving them to the next step: a video interview. This will allow you to get a good feel for how this person is through established questions. The most important thing to look for when going a little deeper with hiring is someone’s ability to give examples. Ask people to give details. If they can’t give details and they can’t provide examples of what they’ve done, that’s when you know something is off. Now, would you want to work with this person? Would you want to get a beer with this person? Would you want this person to hang out with your team? That’s the criteria you should be considering. It doesn’t matter if they’re skilled or not. You can detect certain things when you meet people in person or when you watch a video that you just can’t get on paper, which is why it’s crucial to have this alternative form of contact. I like to follow a sequence: I usually talk to people initially through Skype. If the video interview goes well, I might add them through Skype. We might do some text chatting here and there. If it goes well, then we’ll meet in person. Then, the next time we meet in person, I might have some of my team members sit in on the interview to see how things are going and how they feel about this person. That’s when we’ll move to the next step of the funnel: the trial. In addition to the interview, you need to have a trial period to see if these people are as good as they say they are. The interview tells you more than plain text, but in the end, it can only tell you so much. You have to see how this person communicates, what their working style is, how they interact with the team and so on. Also, make absolutely sure that they’re punctual. If someone meets you in person at your office, they should show up on time. Almost all my interviewees have shown up on time, except for occasional exceptions due to things like traffic. In those cases, clarify the situation with them. Say something like, “I noticed that you were five minutes late. Can you talk about that?” Then they can explain what happened. You want to get clear and set the right tone right off the bat. If a person shows up to the interview five minutes late, not dressed properly, and comes in with a combative attitude, you know there’s an issue. At some point, you have to be good at weeding people out. Even if they’re in person with you, sometimes it’s just not the right fit. You should stop the interview process right then and there. You don’t want to waste any more of your time or their time. Make sure to do your homework and do a reference check as well as a background check on your candidates. One time, we did a background check on someone we were talking to, and it turned out they were a convicted felon. Usually, the first three references a candidate gives are going to be really good. They’re going to say good things. It’s always good to ask for some other people to talk to as well, like their second-level connections. The feedback you’re going to get from those people is more unfiltered. Make sure you’re building out some kind of hiring funnel because if you don’t have a good process established, the people you don’t want will seep through. Let’s say you only have one step. They get through that one step and you end up hiring them. They’re with you for only three or four months before they jump ship or you fire them. Then you have a major problem. Most of the time, you’re making a big investment when you hire someone, so you want a great hire who can give you 10-20x ROI. At the end of the day, it’s all about people and the sorts of people you want to work with. Don’t poison your team by adding bad members. 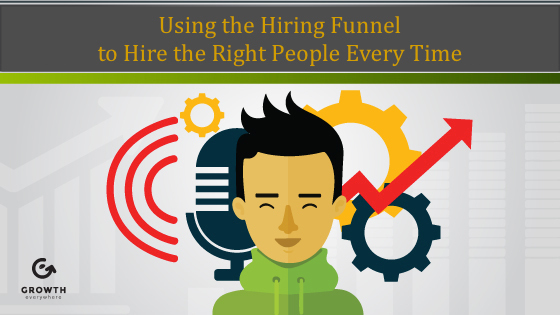 Use the hiring funnel.